Antenna installation | AVSTAR Aircraft of Washington, Inc. Installing different antennas can be challenging, especially with limited access and fresh paint to deal with. We installed new Nav antennas to a Debonair. The aircraft arrived at our facility fresh from the paint shop. The plan was to duplicate the same antenna installation as found from the factory on later F33's. 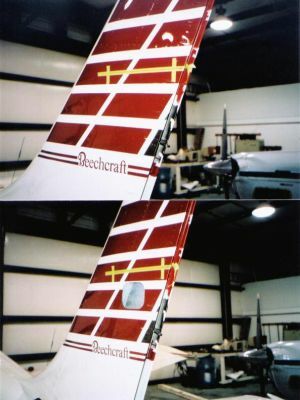 The rudder and left elevator were removed for access. 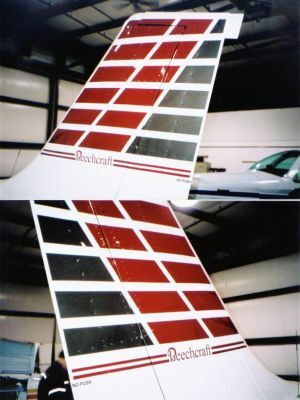 Aircraft was leveled to plot the positioning of the blades. 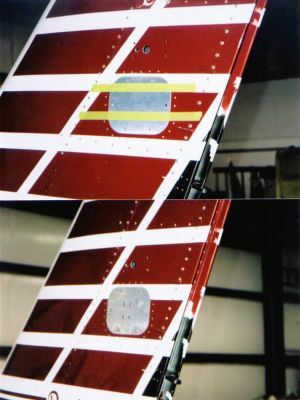 Necessary rivets were removed for the doubler installation, and an access hole was made in the left side. The doublers were installed. Next, the plate was fabricated to cover the access hole. The signal combiner was installed to this plate. 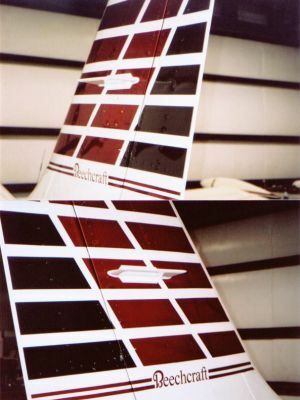 A new length of cable was installed in the aft fuselage and vertical stabilizer. Paint touched up as required, antennas installed and sealed. Rudder and elevator reinstalled. All components double checked for installation security, paperwork done. Let's go flying!